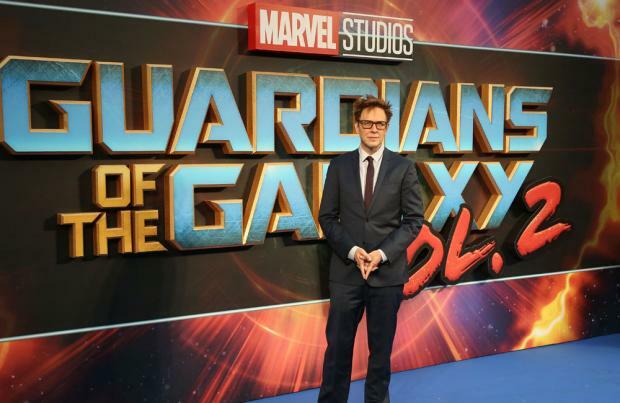 James Gunn has confirmed 'Guardians of the Galaxy Vol. 3' will drop in 2020. The director took to Twitter to reveal the hotly-anticipated third movie in the franchise will be released in two years, which was expected to be the case, by responding to a fan's question. In response to a supporter who asked, "Is there going to be a guardians of the galaxy 3? (sic)", Gunn wrote: "Coming in 2020"
It is thought the motion picture will be released in either May, August or November because Marvel Studios has three 2020 release dates ready for as-yet untitled films. They have a slot on May 1, 2020, August 7, 2020 and November 6, 2020. Gunn recently confirmed 'Guardians of the Galaxy Vol. 3' will "kick-start" the new Phase of the Marvel Cinematic Universe, following comments from Marvel boss Kevin Feige, who revealed the fourth 'Avengers' movie, slated for a 2019 release, will signal the end of the MCU's Phase 3. 'Avengers: Infinity War' will see the hero squad - Iron Man (Robert Downey Jr.), Captain America (Chris Evans), Thor (Chris Hemsworth), the Hulk (Mark Ruffalo), Scarlet Witch (Elizabeth Olsen), Vision (Paul Bettany), Black Widow (Scarlett Johansson) and Hawkeye (Jeremy Renner) - join forces with the Guardians of the Galaxy.